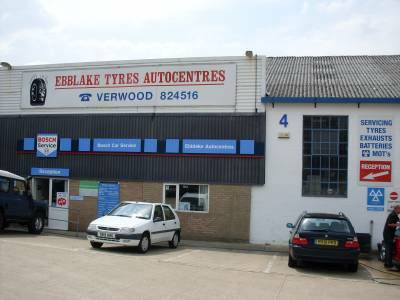 Ebblake Tyres Autocentres opened in Verwood in 1983, as a specialist in tyres, exhausts, batteries, wheel alignment, mots, car repairs. As the years progressed Ebblake expanded its services to meet the requirements of its ever growing customer base with the ultimate expansion in September 1999 to new premises in a 10,000 sq/ft unit situated in the centre of Verwood town. This allowed the installation of 2 MOT testing bays to test both cars and light commercials, full service facilities for all modern cars & light commercials up to 3,500kg using fully trained technicians and the latest electronic equipment and air-conditioning re-charging & servicing equipment. 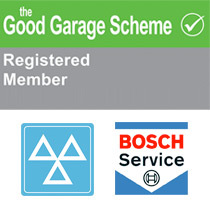 Now fully accredited as a Bosch centre we can service all makes of car and van from new without affecting the manufacturers warranty.